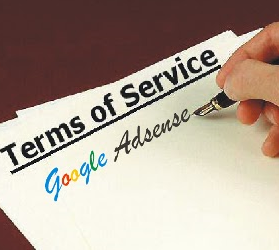 Which Blog Topics are Against Adsense TOS Policies? Google AdSense is a widely used ad-program that serves as a major source of income for millions of blogs and websites worldwide. 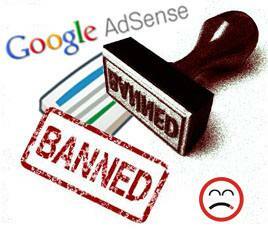 But many people face the problem of getting their AdSense accounts disabled or banned. This results in the seizure of any money that hasn't been withdrawn. Most such people don't have a clue about why they got banned. It happens as a result of the violation of AdSense TOS. While some accounts get banned or disabled as a result of a malicious action, such as unusual click activity, many others get banned as a result of some content that is not appreciated by AdSense. In this post, we will discuss what sort of content is disliked by Google, so that you can save yourself the inconvenience and avoid getting banned by AdSense. Sometimes, Google AdSense rejects a site outright. This happens due to inadequate or inappropriate content mostly. And sometimes, Google AdSense accounts get disapproved or banned after approval. This could either be due to malicious behavior, such as click fraud, or it could be because the publisher added some inappropriate content that wasn't present at the time of approval. In any case, it is important that you know what exactly Google AdSense classifies as "inappropriate", so that you can stop publishing such content before even starting at it. Content biased against individuals or organizations - Although Google supports freedom of speech, it does not allow ads to be placed alongside content that is aimed against an individual or organization, including hate content or racism.